Are you thinking about having some Cosmetic Dentistry done? Come in and visit Dr. Avila for a free, no obligation consultation and learn more about what treatment options are available to you. Fill in your details below and the clinic will call you to setup a time. Or, you can call us directly. Dr. Roger Avila D.D.S. 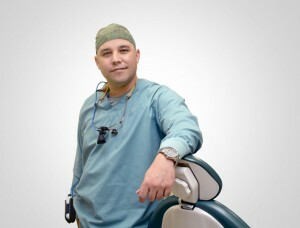 graduated from the University of Toronto in 2008, after working as a dental professional in his homeland of Cuba for five years. 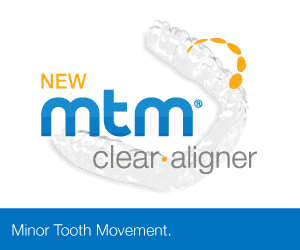 MTM Clear Aligners offer an invisible way to straighten your teeth without the headaches caused by braces. Traditional orthodontic treatment uses brackets and wires, which are bonded to the teeth in order to achieve straightening. Wires and brackets have always proven to be challenging for patients because they cannot be removed during the course of a treatment, their presence makes it difficult to brush and floss and overall, they are not attractive. For these reasons, many people shy away from orthodontic treatment even though they can benefit from it. MTM Clear Aligners address all the above concerns and offer a viable solution to people who are self-conscious about wearing traditional braces. They are clear so most people won’t know that you’re wearing them. They can be removed when eating, brushing and flossing. Once you decide to start treatment, we will create a specific plan for your transformation and identify how long your treatment will take. Customized trays (known as aligners) will be created to address the sequence of changes to occur during the course of your treatment. MTM Clear Aligners are typically ideal for minor cases (gaps, crowding, tipped and rotated teeth, etc). The good news is that they can address plenty of issues, however you must visit the dentist to better-understand if they will work for you. If you are not a candidate for MTM Clear Aligners then the dentist will recommend alternative treatments. MTM Clear Aligners are a popular choice for many people today, not only because they’re virtually undetectable, but also because they are affordable. They work seamlessly in the background so that you can avoid the lifestyle changes that braces impose. Our consultations are free so the best thing you can do for yourself is to come in and find out if they are a good fit for you. MTM Clear Aligners can make a huge difference, not only in your smile, but also your overall dental health. Setup a time to visit us and let’s find out if they will work for you.